Hydroshrink is a unique single component, Flexible, 100% solids (contains no V.O.C. ), polyurethane elastomeric compound. 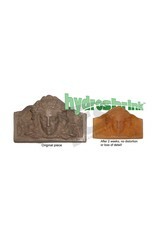 Hydroshrink, when fully cured provides for simple method for reducing three dimensionally molded parts. Reduction of parts is done by simply molding the part with Hydroshrink to form a rubber master. After curing 30 minutes at room temperature the molded Hydroshrink part is removed from the mold and allowed to shrink at room temperature. Reductions from 55 % to 86% the original part can be made depending on how much water is added in the initial curing process. 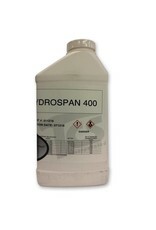 Mix hydroshrink with ice COLD water (40˚F-50˚F) to extend working life. See Polymer/water mixing chart to determine the amount of water to use to achieve a specific reduction. Use a maximum batch size of no more than one gallon total mix of hydroshrink/Water. Pour both the water and hydroshrink 400 into a clean plastic container and quickly mix using a spatula for batch sizes of ½ gallon or less or less mix by hand with a flat spatula, for larger mixes use a jiffy mixer and electric drill. Take care to scrape bottom of the container to include all of the unmixed hydroshrink polymer (do not use square or round rod as mixers). Mix for about 30 seconds and quickly pour into the prepared mold. After about 3 to 5 minutes hydroshrink cures to a firm white gel. . 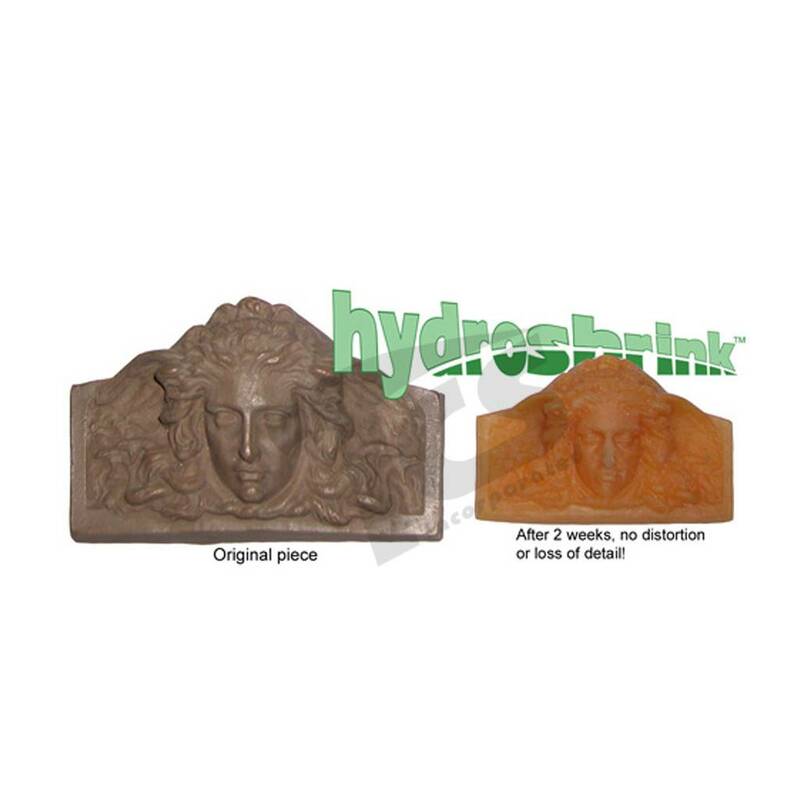 Mold preparation hydroshrink can be molded in almost any kind of mold as long as it is fully prepared before filling with uncured polymer. Release agents used in the molding process inhibit the evaporation of water thus slow down the reduction process of the part. Depending on relative humidity and temperature, parts can be handled in 30 minutes. . Reduced Parts Once the hydroshrink parts have reduced to the desired size a final mold should be made as soon as possible. If molds are made from flexible RTV urethane or silicone rubber a light layer of Vaseline petroleum jelly should be applied to prevent any unwanted reaction of the absorbed water in the hydroshrink. 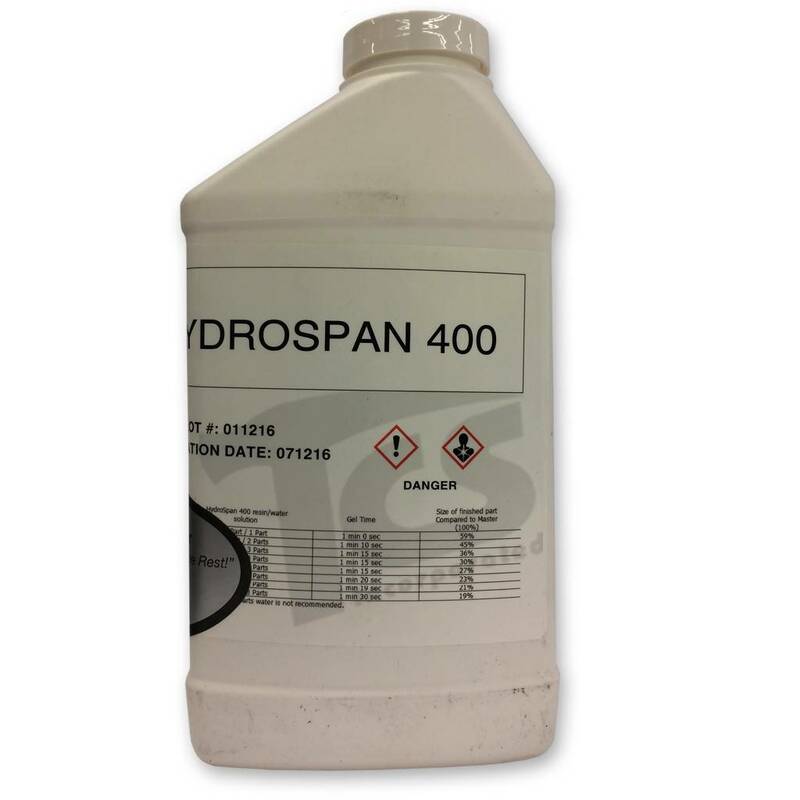 Reduced hydroshrink parts maintain their reduced size if stored in a dry environment.